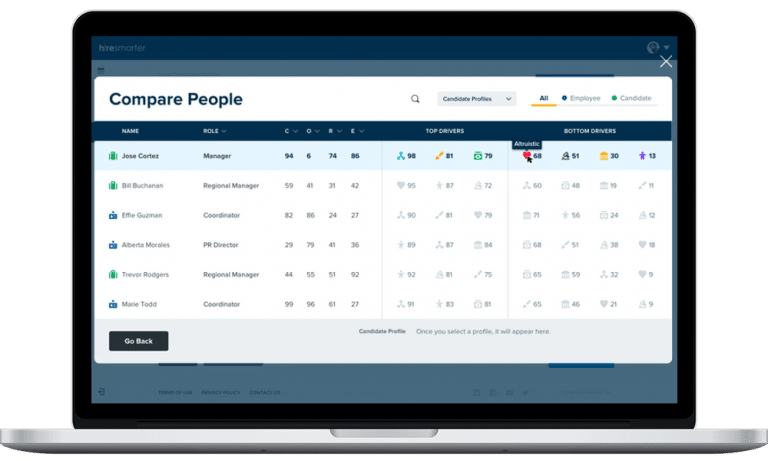 World class psychologists, salespeople, and data scientists have come together to bring you the ultimate sales hiring tool. Research shows that we think good looking people are smart, tall people are leaders, and people with deep voices are trustworthy. Hire Smarter minimizes bias by giving you a partially automated and data-driven approach to hiring. Sometimes a candidate isn’t a good fit for your team, but would be perfect elsewhere in the company. 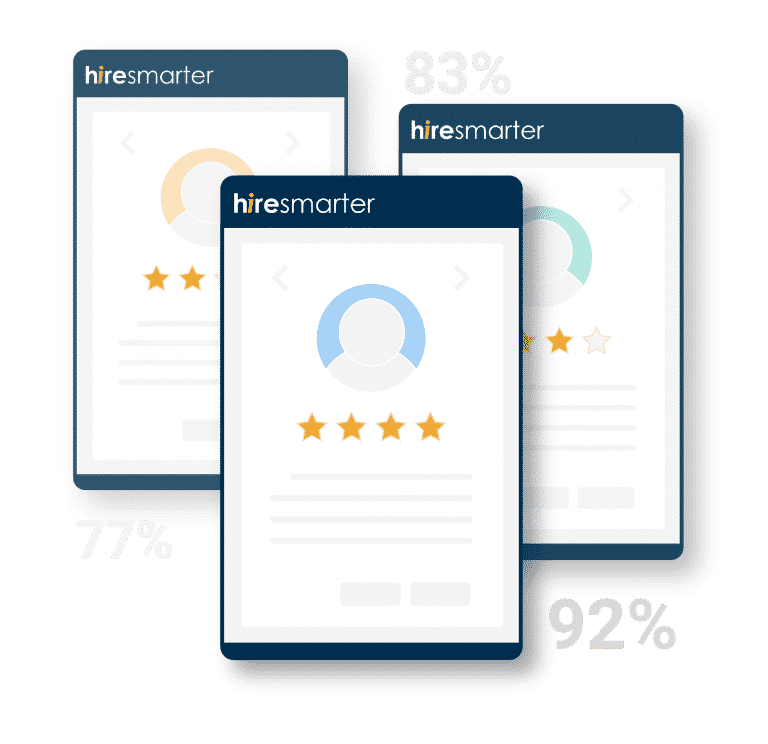 Hire Smarter lets you know if a candidate is a good fit in any other predictive models so no talent ever goes to waste. Interview the candidates most likely to succeed. When you’re scaling fast you have less time to evaluate candidates. Hire Smarter helps you stay focused by screening out the candidates who have low probabilities of success. Got questions? Our experts love helping.